Friday, November was senior night for the seniors of the Morgan Swim team. This night was especially emotional for these seniors because they laid the foundations of Morgan Swim from the time they were freshmen. Starting in 2012 Morgan Graduate Jayde Forbes began swimming with the girls from Haddam-Killingworth, still competing for Morgan but sharing a pool and a coach with the Cougars. Little did she know this would become the Morga n Swim Team that we have today. Alexis was very excited to have her senior night. She started swimming with Jayde and discovered both her love and talent for the sport. She swims the butterfly in the 200m relay, the 50m, and 100m freestyle, as well as the 200m freestyle relay. She is “really sad to see the seniors leave because [they] started the team with Jayde and gained a lot of new people, and [they] hope to have them carry on the legacy”. 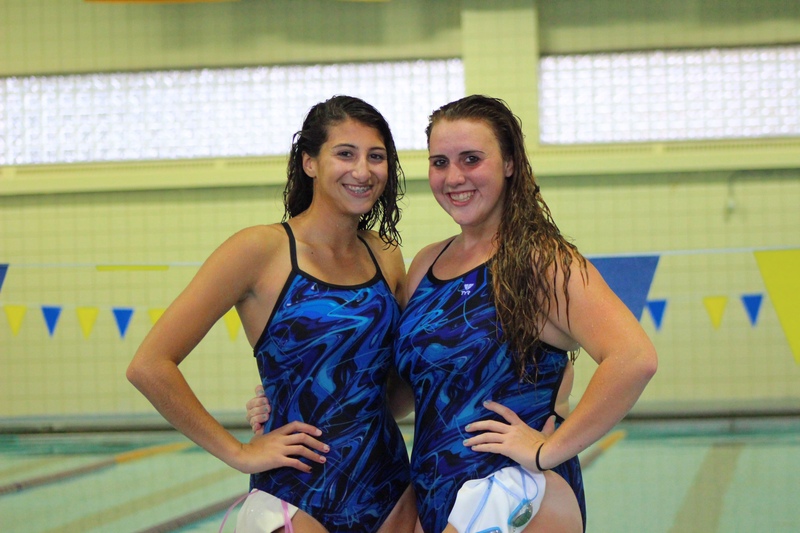 Seniors Lauren Bousquet and Tori Barron are also seniors on the swim team. Swim meets do not usually attract a Dog Pound especially because they do take place in the Cougar Den, but the swimmers did have about ten people come on their senior night. Each event at a swim meet has multiple heats with six people competing in each heat. Swimming is all about beating the clock and beating a competitor’s own personal time. The swimmers qualify for states by achieving a certain time. Swimmers also compete to beat their own personal record.